I have been hoarding my super cute and adorable WRMK Instagram album for months! I was finally able to use it for a little special guy's birthday in Disneyland! The colors of Stitched is perfect for pretty much anything! The light teals and yellows was just what I was imagining when creating this book of magic! For the tiny alphas, I used Kelly Purkey's in grey. They are the perfect delightful size for the binding. Here are a few pages from the book: I am a fan of layering, the gold tiny staples are by American Crafts. I like creating little see-through pockets! I just adhered a shaped die cut to the back of a photo, then cut around! Shaker pockets are cute too! Just add sequins and staple or tape down the opening. How about using skinny washi tape as a caption area! Slick writers work amazingly on washi tape! The entire book: Items used: Stitched Pattern Papers // Pink AC mini stapler // Stitched Thickers // Stitched Fabric Stickers // Stitched Enamel Dots // Stitched Puffy Stickers // WRMK Mint Mini Album // Slick Writers // MT Skinny washi tape // Doodlebug Sequins // Kelly Purkey Alphas What an awesome little album - thanks for sharing, Cathy! Other Design Team member posts can be found here. 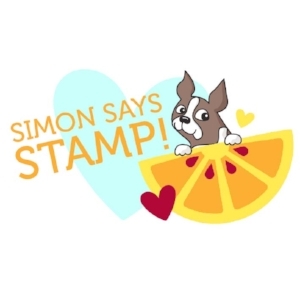 Shop for Amy Tangerine products at your local scrapbook stores and online at Simon Says Stamp and Blue Moon Scrapbooking and Scrapbook.com.